Chris Gibbany of Harrison, Arkansas, is the winner of the 2014 Ultimate Biker Makeover, sponsored by GEICO Motorcycle. Gibbany was among 84 contestants who sent in a 600-word essay describing why they are most in need of a Garage-Girls Ultimate Biker Makeover. Her essay touched upon her sacrifices and commitment to “hunker down” and put herself through school in order to open new career opportunities. 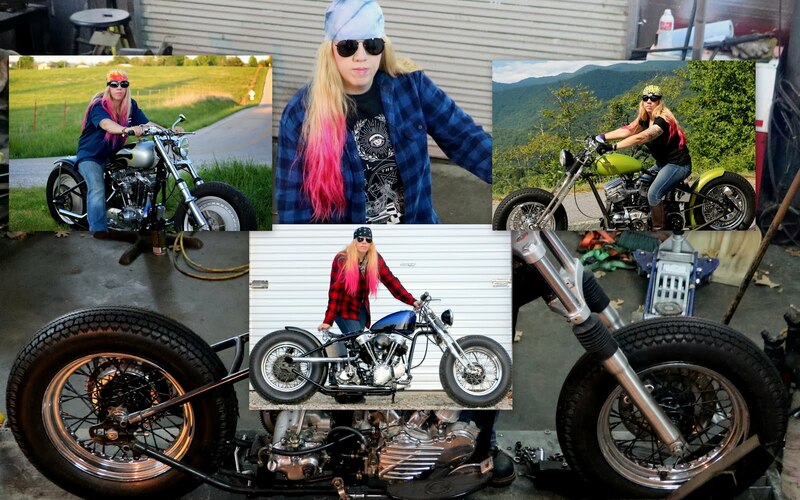 We received more submissions for this years Ultimate Biker Makeover Contest than any other. It was a definitely a challenge choosing a winner among so many great entries. We need to thank GEICO as well as our other sponsors for their commitment to make this contest possible. Frankly, there would be no Garage-Girls Ultimate Biker Makeover Contest without their continued support. 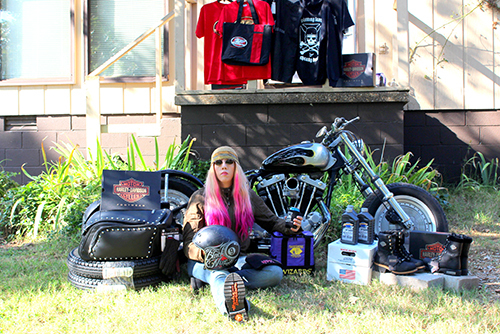 As the 2014 Ultimate Biker Makeover winner, Gibbany will be able to enjoy a multitude of prizes that include: a new wardrobe of shoes from Harley-Davidson Footwear Footwear; a brand new jacket, matching gloves and a helmet from Roland Sands and J&P Cycles; a cleaning kit from Wizards Products; a case of Synthetic oil from Spectro Oils; clothing from Hijinx Apparel; a set of AVON Tires; and saddlebags from Mustang Seats. After reading Chris’s entry it was obvious she puts a lot of miles on her motorcycle , so we were pretty excited that part of her winnings would be a brand new jacket, matching gloves and a helmet to help get her down the road safe, thanks to J&P Cycles and Roland Sands Designs. “It’s just like Christmas around here. And seeing how we don’t “do” Christmas, makes it that much more exciting. I told the UPS guy to “keep ‘em coming. I hope to ride tomorrow (raining today) and try out the new jacket. Husband really likes it and says it will be my “new look” to come out riding the Panhead! Thanks so much Sara and Garage Girls! ~ From an email Chris sent to us. Stay tuned to Garage-Girls for info about next years contest and how this could be you in 2015!